When talking to parents about vaccine choices, one of the most commonly mentioned illnesses is polio. 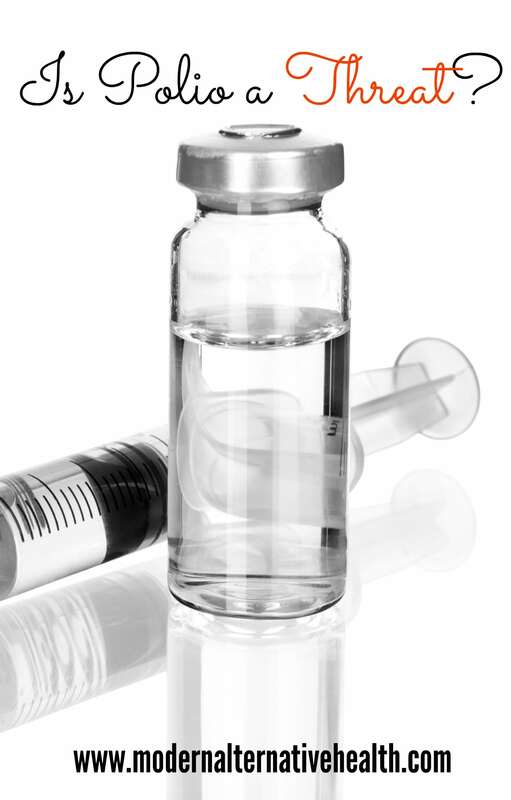 Even parents who are generally hesitant about vaccines, and who opt to skip several, often choose to get the polio vaccine. The images of our grandparents’ and parents’ generation suffering paralysis and lying in iron lungs is so horrifying that many parents feel that the polio vaccine remains necessary — they don’t want their children to have to suffer through that. Is it really that scary, though? If we stop vaccinating for it, will our children become crippled in large numbers and have to live in iron lungs? Here’s the truth: the worst cases of polio are that scary. But the vast majority of cases are not like that. In about 95% of cases, polio is completely asymptomatic: you don’t even know that you have been infected, and you never have any symptoms. In the remaining 5% of cases (or thereabouts), symptoms are flu-like, mild, and temporary, lasting only a few days. It’s only one in 200 cases that actually result in any paralysis, or about 0.5% of all polio cases. As for those iron lungs, they’re outdated medical technology, pure and simple. Doctors today have much more sophisticated machines that they use when someone is struggling to breathe. So, even if the absolute worst did happen — no, we would not see a recurrence of iron lung machines. *How in the world could they know that 95% of cases are asymptomatic? Did they test people who did not show any sign of illness to see if they carried the poliovirus? This seems to me one more “statistic” that has no scientific proof. Let’s take a look at how all this occurred in the first place. Why are people so scared of polio? What happened in the 1950s? Why did cases drop dramatically in the last 50s, after the introduction of the vaccine? Beginning in 1945, right after WWII, polio cases are even more common. They increased to around 20,000 per year (up from 100 or less per year only 40 years earlier). By 1952, that number is 58,000 in one year, the highest number during the epidemic years. Vaccines are distributed beginning in 1955, and cases drop under 6000 per year by 1957. By 1964, cases are around 100 per year again, and the disease is considered eradicated in the US by 1979. Simply looking at the number of “cases” vs. the introduction of the vaccine certainly makes the vaccine look effective. But, there’s more to it than that. In 1954 (and prior), any case of paralysis, no matter how minor or temporary, was considered polio and recorded as such. Beginning in 1955 (the same year the vaccine was introduced), the definition changed: it had to be confirmed by a laboratory diagnosis of a blood sample, and include lasting paralysis. Other types of paralysis were more correctly defined as meningitis and other illnesses. This more stringent definition, of course, is responsible for a large decrease in cases. It is impossible to say how much effect the vaccine actually had on polio cases. Why Did the Epidemic Occur? Then, of course, there’s the question: why did polio occur in the first place? Why did it suddenly become epidemic? And why was it worst in the summer months, while most illnesses are in the winter months? The medical establishment basically says “we don’t know,” if they offer any explanation whatsoever. Other sources have a variety of ideas. One source says that polio began to appear when lead arsenate, an early pesticide, was used on crops. In other words, it isn’t contagious (and never was), and was actually a form of poisoning. Others have pointed to the use of DDT (another pesticide) that caused spikes in cases. We know now, of course, that lead and arsenic are very toxic to humans, and could easily be responsible for “polio” or at least polio-like symptoms (larger doses can cause paralysis, which can resolve if the toxicity is not too great and if the source of toxicity is removed). And remember, they did not test most people for polio pre-1955, so we don’t know how many paralytic cases were truly polio and how many were some other type of damage or disease. In one study, 111 “polio” patients were tested for the presence of polio virus, and only one tested positive. (This was 1943, if you’re scrolling through that whole page.) It is so, so important to note that lab tests were not the norm in the 40s and early 50s, so we cannot confirm how many of the “victims” actually had polio. This experiment proves that. It is likely that increasing pesticide use played a role in why it became epidemic when it did (as we were experimenting with pesticides and herbicides for the first time, not realizing just how toxic they were), and why it was so rampant in the summer. Some theorize that the polio virus was involved, but that it was the reaction between the polio virus and the neurotoxins in the form of pesticides that caused these epidemics. That is probably even more likely. Does “Polio” Still Exist Today? Supposedly, it was eradicated in 1979. But was it, completely? An interesting side note is that a disease is considered “rare” if it affects less than 1 in 2000 people. Currently, the “outbreaks” of so-called vaccine-preventable diseases affect far less than this, yet we are told they are basically epidemics by the media! Very sad. Polio is not the mysterious, deadly illness it is made out to be. It is unlikely that it will come back in our country. The areas of the world where polio is still prevalent have high levels of arsenic in the drinking water (which is not true where we are). Although we don’t fully know exactly how it is spread, it’s linked to a number of different conditions that are simply not present anymore. It certainly doesn’t deserve the outright terror that is currently so common! 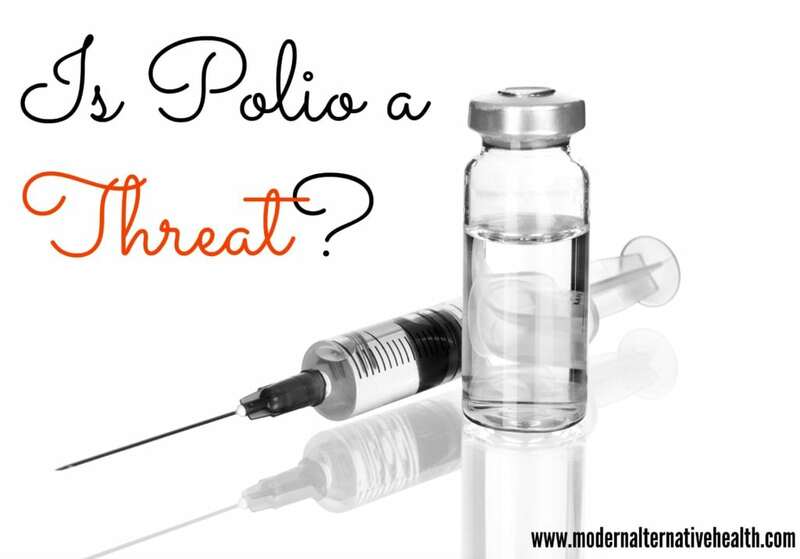 Do you vaccinate against polio? Are you worried about it? THANK YOU for shedding so much light on this subject. Ever since I first began researching vaccines I knew I wasn’t scared of polio, but you’re right, this is the one vaccine that many parents still opt for. I’m glad to be able to share this and expose the truth! Great info, Kate! I just had a new friend ask about good links for info on vaccinations. I’ll be sure to include this one. 🙂 Thanks! Kate, thanks so much for a well-researched, well-articulated article to counter the mainstream’s view of Polio. I have a folder of accumulated informational articles from the past 4 years – yours is going in there too! Thank you again! This is fascinating to me, especially since my great-uncle was one of those 0.5% to have gotten sick with “polio” and therefore was paralyzed and crippled in one arm for the rest of his life (he drowned in an undertoe in his 40’s, also blamed on the polio because the paralysis kept him from ever becoming a good swimmer). However, my great-grandparents had a farm in a very agricultural area where many pesticides were (and still are) used. Allegedly, my great-uncle was stricken with polio on 1937-38. My great-uncle was born in 1935 and my grandfather in 1936. My grandfather was diagnosed several years ago with arsenic poisoning (very high levels, close to deadly) and now has extreme “restless leg syndrome” type symptoms that occur all throughout his body and have gotten worse over the years. I sure wish we could know for sure what caused my great-uncle’s paralysis! great article and great comments thanks for sharing and looking forward to more! I cant wait to share this with my mom. She’s a HUGE proponent of vaccines (and epidurals and regular schooling, etc). Anyway, thank you so much. You know, I had never thought to question the 95% thing but I’m glad you shed some light into that. I wish you had a facebook link to your posts, this is one I desperately want to link up to on my wall so everyone can see it. Thank you again. I’m all agog for what else you will share soon inshallah. Insidevaccines did a series on polio. You’ve covered much of what we covered and some we didn’t, but there were a couple of interesting points that you missed. and this article discusses the role of tonsillectomies in bulbar polio (the kind that required iron lungs and was sometimes fatal). I just came across this post in my email subscription and there is a link at the end for a free ebook with soaked grain recipes. I tried to get it and the link no longer works…is there any way I can still get that? Just kidding…it came to my email even though the page loaded to a 404 page after checking out the cart. My grandfather contracted polio when he was a child ( he is 82 now) he was paralyzed and made a pretty good recovery, after that he was adamant that his children not receive the vaccine (they were born in the 1950s), at the time there was a very real risk of contracting polio from the vaccine. I’m expecting my first child in September and I’m trying to decide which vaccines I want to give my child (if any) and I think Polio will NOT be one of them. Love it! And I also read this study done back int he 1950s by a doctor who used an entire town in a study, he asked the entire town to limit their sugar intake since it was a summer epidemic disease (ice cream, sodas, lots of sugar comes along with the summer) and they had one of the lowest incidences of polio in the country, whereas they had been one of the highest before. Coca-cola had a major problem and somehow the town was convinced that sugar had nothing to do with the stats and continued to eat as they had always done. Can’t remember where I found it, but it was another interesting theory. This is interesting. I wish I could get my husband to read such. He just wants to follow along with the doctors. Thanks for sharing Kate! Wow, I sure wish my grandmother and her father were alive now so that I could talk to them about this. My grandmother contracted polio in the late 1920’s. She was 7 years old. She spent time in an iron lung and was left crippled. She never grew any taller and was never again able to run, and could only walk short distances and in pain. Her father was a farmer. I’m sure, were she here, she would urge me to vaccinate against it. I only recently stopped vaccinating, so my kids did receive it. Were I faced with that choice now, it would be tough, knowing what my grandmother went through. However, in light of this pesticide connection, I think I would choose to not vaccinate for it. I wish I could share this information with my grandma now, so she could understand her own illness. I will share it with my mother. Thank you. Thank you, really enjoyed your post. Would you mind sharing your resources too? I would love to read about this further. This article is so timely as this was a subject I was going to start looking into. My kids haven’t been vaccinated and I want to be more informed on subject such as polio while speaking to others about not vaccinating. I am curious though, if it could just be linked to pesticides as my husbands uncle contracted polio as a baby. He and his family were on a ship from Indonesia traveling to Holland in the late 1950’s, and they always assumed it was because he slept in a bed used by other babies. I would be curious as to others ideas on that. News came out yesterday about a mutation in the polio virus. The big thing to take away from this is “While quite rare, they could lead to fatal epidemics such as the one in 2010 in the Republic of the Congo if they reach areas where the more common strains have been eradicated, but where vaccine coverage is insufficient.” So YES vaccinating a disappearing disease is STILL important!! You should also note that homes built after 1979 were no longer painted with lead based paint. Which may also contribute to the idea that it was caused by poisoning and the eradication of the polio disease happened that same year. Thanks SOOO much for this information. I did a lot of research while pregnant however didn’t feel that it was enough. My daughter is almost one now, and while changing to a new ped at 6 months (who supposedly was okay with not vaccinating) I made the pressured/fear decision to just to DtaP, which apparently she didn’t have with just Tetanus like I asked. Since my daughter was beginning to pull up and get into things where she might get cut. There are so many decisions and choices I wish I could have made more informed, and she is only 1 !!! we will be traveling to Ethiopia a lot and Polio is still very visible in the country. I don’t see the details above, however it is highly-contagious correct? Things like yellow fever are a mandatory requirement when traveling. However would truly like to get more information before making any uninformed decisions again. I am very thankful for this website and have just begun browsing! I have lots of work to do, and as my mom work hours are from 10-3am lol, so I need to focus my time! Though you have providing me with so much wonderful reading material for the days to be! Any herbs or regiment to help with clearing, besides the infantus probiotics?! I have a question, how did you go about reading all this info? There is so much information out there its daunting. Where did you begin?